Shopping for a digital camera shouldn’t be hard, but it is. There are hundreds and hundreds of digital camera models to choose from and it can be time consuming to wade through review after review trying to find the best camera for the money this Christmas. I’ll do some of that work for you and give you my recommendations for a few different price points and categories. This is the most crowded camera category and there’s been a lot of convergence over the years with cheaper cameras. Good cameras in this price range are going to be more alike than they are different. The biggest change here has been the inclusion of wider angle lenses. In the past most compact point and shoots started at 35mm, but now 24mm and 28mm is much more common. These wider angles are very useful and arguably more important than a really long zoom in most situations. The Canon 300 HS is a nice little camera with a good set of features. It’s small, has one of the newer CMOS sensors, 24mm wide angle and fairly quick f/2.7 aperture at the wide end. All of my point and shoots have been Canon PowerShots (S400 about 8 years ago and S700 4 years ago) and they are just solid cameras for the money. The 100 HS is very similar to its 300 HS sibling if price is really an issue. You lose a few bells and whistles like a smaller zoom range and being able to optically zoom during video. There might be cheaper cameras, but quality really starts to drop off if you go too much cheaper than this. The under $200 crowd are fairly similar. As you look at cameras over $200 you start to see more variation and better features. Along with the wider angles being offered really fast f/1.8 apertures are becoming the new must have feature. These faster lenses let in more light resulting in faster shutter speeds and less reliance on high ISO. Anything that keeps the ISO lower on a point and shoot is a very good thing. This is the main camera I’m going to recommend in this category. For normal day to day use there really isn’t anything like it. It starts at 24mm wide and has a very fast f/1.8 lens at that widest focal length. I recommended this camera for my sister after quite a bit of research and it has turned out to be fantastic. If I was in the market for a new point and shoot (I shoot my Nikon D90 almost exclusively) this is the camera I would get. That f/1.8 aperture is something only us DSLR shooters got to enjoy, but Nikon has pushed it down to point and shoot cameras at a reasonable price. This is just about the only P&S camera I can get excited about and it is reasonably priced. If you need more zoom and are willing to trade it for the fast f/1.8 of the P300 then the Nikon S9100 offers a good set of features for the money. It packs a big zoom range in a small package compared to the “superzoom” point and shoots that are roughly the size of a small DSLR (and not much cheaper). Point and shoots are great for pocketability, but it is very hard to match the capabilities of a DSLR. Over the years the price of low end DSLRs has dropped considerably and aren’t much more than a high-end P&S. If you are outgrowing your P&S or want to upgrade an older model then see my recommendation. The D3100 is just an incredible little (for a DSLR) camera for the money. Canon is very competitive with Nikon, but right now the two things that make me lean towards Nikon is their flash system and the $200 Nikon 35mm f/1.8. I suggested this setup to my brother and his results are just as good as my D90 and miles ahead of his old D40. If you’re looking for one of the best cameras out there without completely breaking the bank then the D7000 is the ticket. This thing is a beast and nothing can really beat its bang-for-buck right now. If my D90 ever craps out or I felt the need to upgrade then I’d be looking at the D7000. Nikon announced the D5100 and the stereo ME-1 microphone this week. So far I like what I’m seeing. In my previous comparison of the D3100 and D5000 I found it hard to recommend the D5000. The D5100 ups the ante just enough to help differentiate it from the D3100 while increasing the price point for a better fit between the D3100 and D7000. The improvements to video and the higher resolution LCD are nice upgrades. The sensor is likely the same or very close to that of the D7000 which means it will produce very nice images with great high ISO performance. If your budget for a camera is under $1000 then the main deciding factor between the D5100 and D3100 will be the video. If you aren’t going to use video then the D5100 might not be worth the extra $300. When shooting action and sports in low light or indoors your lens becomes much more important than your camera body. Pros are using expensive glass like the Nikon 70-200mm f/2.8 or some exotic prime to gather lots of light. The Nikon 70-200 is a tad over $2000 though. Luckily there are more affordable alternatives like the Sigma and Tamron versions of the 70-200mm f/2.8. These are good matches to lower priced bodies like the D3100 and D5000 that offer comparable performance for almost a third of the price. Just a quick primer about apertures; aperture is described by an f-stop, f/2.8 for example. The lower the number the larger the opening in the lens to collect more light. f/1.4 is considered very fast because you get more light and can maintain a faster shutter speed. f/1.4, f/2, f/2.8, f/4, f/5.6, f/8, f/11, f/16, and f/22 are the standard full stops. Each step up will halve the shutter speed. In general, a lower f-stop number translates to less depth of field (DOF). The cheap (but still very good) Nikon 18-55mm f/3.5-5.6 kit lens is just too slow and short to be of much use in low light. The Nikon 55-200mm f/4-5.6 (or 55-300) would give you more reach, but it too will be too slow as it zooms in. For example, in an indoor hockey rink I’d estimate that shooting at ISO 1600 with f/2.8 gets you 1/250 second. f/4 would drop that to 1/125 and f/5.6 would drop it to 1/60. That’s a very big difference and would allow motion blur to become a problem. I’ve shot a group of friends playing broomball at a local rink with my 18-200mm f/3.5-5.6 and it was a struggle. Even with ISO between 1600-3200 my shots were underexposed if I tried forcing the shutter to 1/250. I could have lowered it, but then motion blur would have started kicking in. I don’t think I even bothered sharing those photos with anyone. Low light action (pretty much everything not in sunlight) is just one of those things that’s flat out hard. Pros can throw thousands of dollars into their gear, but we don’t really have that luxury. A cheaper DSLR like the D3100 or D5000 is up to the job, but they really need the help of a f/1.8 or f/2.8 lens to keep the shutter as fast as possible. Depending how much reach you need you could even use the Nikon 35mm f/1.8 to get as much light as possible for cheap. If you do need more reach then the Sigma and Tamron 70-200mm f/2.8 lenses become some of your few options. The Sigma seems to have better autofocus capability and the Tamron has slightly better image quality. The Sigma has shot up in price making the Tamron a better value. There is also a new Sigma lens with image stabilization built in, but it is almost $1400. The new D3100 really shakes up Nikon’s lineup of lower priced DSLRs. In my previous comparison between the D90, D5000 and D3000 I had a hard time recommending the D3000 and the extra money was well spent on the D5000. The D3100 changes this recommendation. The D5000 is essentially obsolete now. The D3100 and D5000 have comparable sensors now and the inclusion of better video capability makes the decision between the D3100 and D5000 simple; until the D5000 is updated just get the D3100. A lot of features from the D90 have been pushed down to the lower price points and the one thing that really sets the two consumer segments apart is the inclusion of an AF motor on D90. If you are going to use lenses without built in AF motors then the D90 (or it’s soon to be announced replacement) is still your only choice. If I was just starting out though, I wouldn’t hesitate to get the D3100 which beats the D5000 in bang for your buck. You can get the Nikon D3100 from Amazon at a very competitive price. Nikon D90 vs D5000 vs D3000: Which one is right for you? If you’re reading this post then you’re probably looking at one of Nikon’s consumer DSLRs. I’ve been shooting with a D70 and now a D90 for 5 years and recently walked several co-workers through buying a DSLR. I thought I’d share how I laid things out for them. 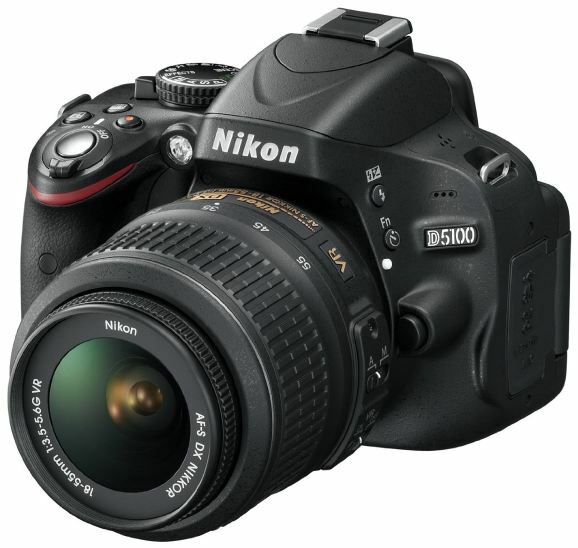 As of February 2010 Nikon has three offerings in the consumer DSLR market: the D3000, D5000 and D90. Nikon has placed each of the cameras about $200-300 apart from each other. When the D5000 came out Nikon needed something new to fill in the low end of their line up. The D3000 is pretty much the exact same camera as the D40x and D60 that previously held this spot. Aside from a .5″ larger LCD screen, there’s not going to be much difference between them. If you’ve never touched a DSLR before and your budget is tight, then this is a good place to start. It will be a good solid camera, but until Nikon refreshes it with a new model I don’t think the D3000 offers the best bang for your buck. Amazon has the D3000 with 18-55mm VR kit lens for about $465. The D5000 is a big step up from the D3000 in terms of technology and functionality. The most visible difference is the tilt and swing LCD screen, but I don’t think it’s that big of a deal. Internally, the D5000 has a much newer CMOS sensor than the D3000. This is the same sensor in the D90 and it provides much better performance at higher ISO settings. It also inherited built in chromatic aberration correction from the D90 which removes fringing that can appear in brightly lit shots. You also get the ability to take video. At this point, features are starting to trickle down from improvements being made on more expensive models. If you are more serious about photography, but still relatively new to the DSLR world then this is a good option. The added features are well worth the extra money. Amazon has the D5000 with 18-55mm VR kit lens for about $685. The D90 sits at the top of Nikon’s consumer DSLR line up. From here there’s a fairly big jump to the prosumer D300. There’s two things that really set the D90 above the D5000: controls and lens compatibility. Without getting into every little difference in controls I’ll just highlight two. The first is the D90’s front scroll wheel. The D5000 and D3000 both have one on the back for your thumb, but the second wheel on the D90 gives you quick access to changing other settings. In manual mode for example, one wheel controls the aperture and one controls the shutter. On the D5000 and D3000 you’d have to fiddle with menus to set one of them. In Program mode, which I shoot 95% of the time, the back wheel can tweak the shutter/aperture ratio, but I configured the front wheel to set exposure compensation which normally requires a simultaneous button press. The next control difference is the inclusion of a customizable shortcut button on the front of the camera next to the lens mount. This can be hit with your index or middle finger to bring up a menu of shortcuts to the menu items you use most. I have a couple things like ISO and White Balance menus on there that I access frequently enough to not want to dig through the entire menu system. Both of these additional controls are big for me and I don’t think I’d want to move to a camera without them. The other thing to consider when comparing the D90 and it’s D5000/D3000 counterparts is lens compatibility. The D90 includes a built in AF motor which means it is compatible with older AF lenses; the other two do not. On the D5000 and D3000, the only lenses that will autofocus are the ones with AF-S built in which isn’t a big deal if you plan to stick with the 18-55mm or other newer lenses. If you wanted to shoot something like the older but excellent 50mm f/1.8 then the D90 is your best option. If my discussion of the D90 went over your head then that’s a good indication the D5000 is more than enough camera for you. The D90 provides good bang for your buck if you are going to get serious about photography. The kit includes an 18-105mm VR lens which will give you more reach than the 18-55mm. You also have the option of getting the D90 body by itself and then adding on whichever lens fits your needs the best. Amazon has the D90 with 18-105mm VR kit lens for about $1035. The D90 Body is about $780 by itself.